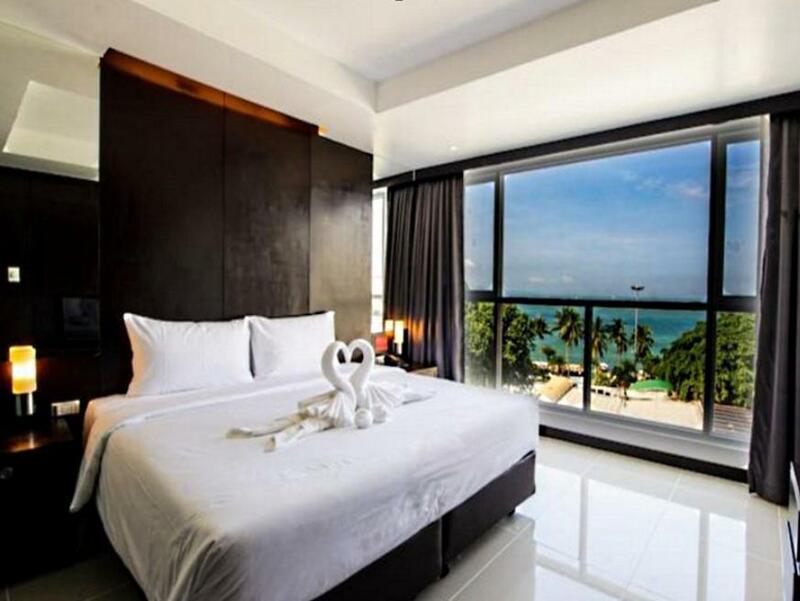 Ada pertanyaan untuk Hotel Selection Pattaya? Terletak strategis di area pantai, kehidupan malam, berbelanja di Pattaya, Hotel Selection Pattaya menyediakan tempat yang kondusif untuk melepas penat dari kesibukan Anda. Dari sini, para tamu dapat menikmati akses mudah ke semua hal yang dimiliki oleh kota yang aktif ini. 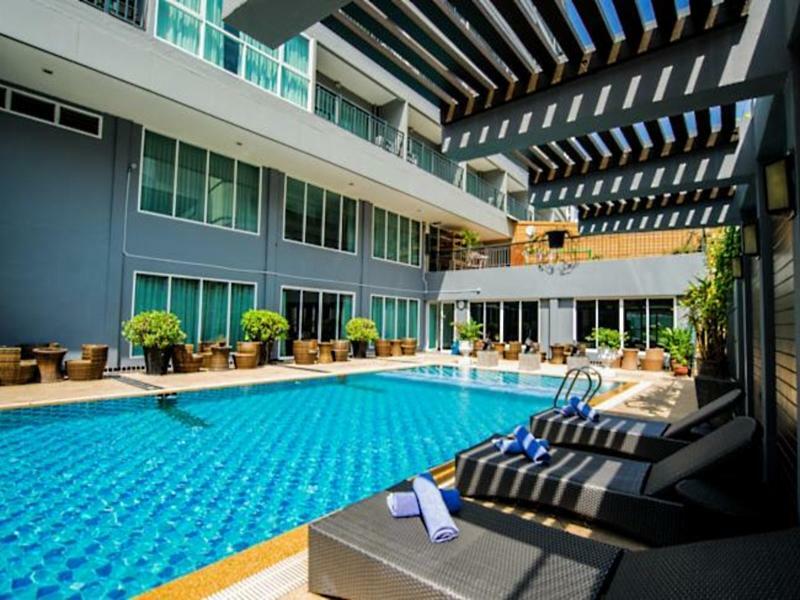 Properti ini terletak di sekitar obyek wisata populer di kota ini, contohnya Pusat Perbelanjaan Pattaya Dragon, ParadiseTailor, Budget Car Rental Pattaya. Gunakan kesempatan untuk menikmati pelayanan dan fasilitas yang tidak tertandingi di properti yang ada Pattaya ini. Properti ini menyediakan akses ke sejumlah pelayanan, termasuk WiFi gratis di semua kamar, resepsionis 24 jam, fasilitas untuk tamu dengan kebutuhan khusus, Wi-fi di tempat umum, tempat parkir mobil. Properti ini memiliki 149 kamar yang didesain dengan cantik. Banyak kamarnya dilengkapi dengan televisi layar datar, kamar mandi tambahan, toilet tambahan, ruang penyimpanan pakaian, ruang keluarga terpisah. Pusat kebugaran, kolam renang luar ruangan, kolam renang anak, bilyar yang di properti ini merupakan tempat-tempat ideal untuk bersantai setelah beraktivitas sepanjang hari. Ketika Anda mencari penginapan yang nyaman di Pattaya, jadikanlah Hotel Selection Pattaya rumah Anda ketika berlibur. Anak berusia 6 hingga 11 tahun akan dikenakan biaya sebesar THB 150 untuk sarapan per hari. hotel jelek sekali dan pelayanan sangat tdk sopan, anak saya di paksa beli extra bed dan sarapan pagi hanya 3 menu hahaha...hotel yg paling jelek di pattaya dan receptionis mengancam klo tdk beli sarapan pagi utk anak 150 bath maka besok bayar 320 bath....korupsi di dalam hotel. Just 2 minutes walk to/from the beach, so great location. Also very close to the nightlife (Soi 6), or baht-bus along beach road to Walking Street... Downsides, just couple of gripes with the room (bulbs needed replacing, sink plug bust, etc...). But not enough to change room, spoil the holiday. 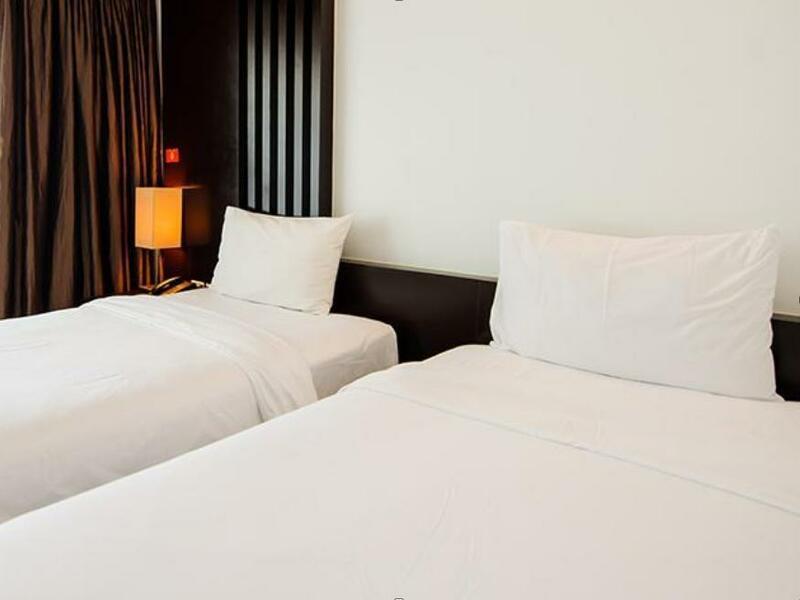 Nive renovated hotel but staff an housekeeping can be improved a lot. A lot of times they forget to delibereren new towels after they clean the room, they forget to clean the balcontact, etc... Half of the lights didn’t work in the room. I booked a room with bath and shower, but i only got a shower. The pool is a lot smaller then you expect. Very near to Beach road. Google shows this place is permanently closed. But it is incorrect. The hotel is open and fully functional. Breakfast is ok. It's basically a budget hotel. Good for families. The only suggestion I would recommend is do not go for a city room while booking. Not, like the room is bad. But basically no view. It's just a building that you can view from your balcony. 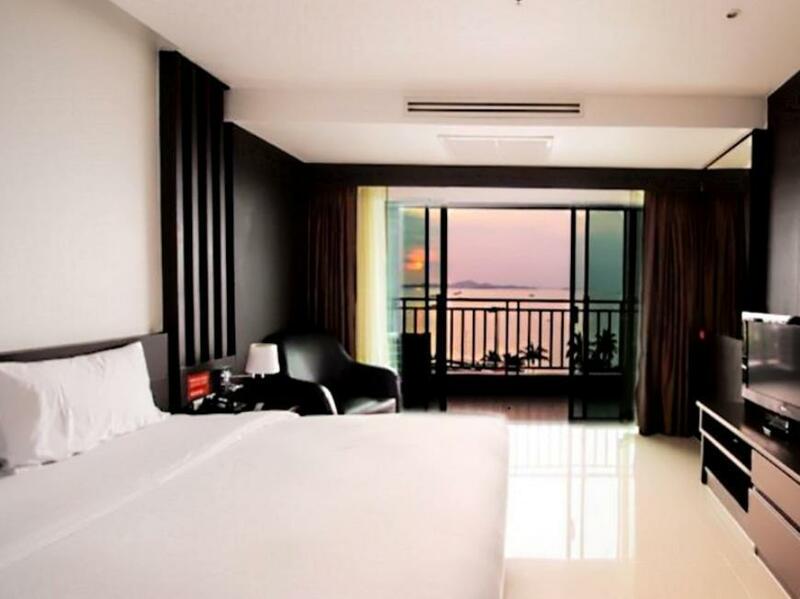 Hotel Selection is great, especially the Seaview room I had (720). The food service was also excellent. Cant fault the hotel or location. Just make sure you give the McDonalds a miss, which is right outside the hotel on Beach Road. Me and my mate both got food poisoning from there one night, which was horrendous. It took us at least 4 days to get over it, never ever going there again. Hotel is great. McDonalds is crap. Very friendly staff and helpful. It's perfectly located next to Rasputin Soapy massage should that be your thing after a long flight. It's nicely located by Soi 6 too. Just beware there is a 1000 bhat joiner fee if you chose to have company. The room was very nice with a balcony for smoking in my case. The AC is cold but water is difficult to get HOT if you like a hot shower after a 23 hour flight like I do. All in all good place. This was a great value for the price and location of the hotel. Only advice is to make sure to not leave food out or in bags. Seen some ants and wasn’t worried because they seemed to be on a certain path. Checked out and noticed that they must have attacked some good I left in backpack. I arrived at bus station to notice a lot of ants in backpack! To Thai standards the staff working at our day of arrival wasn't very friendly. However, the porter was helpful and helped us changing rooms. Yes because the first room we were offered smelled like pee. The luxaflex blinds were attached outside the bathroom (why is this, so you can pee when someone taking a shower or doing his needs?) The second room was better but the aircon unit was leaking water. The third room was smaller so we decided to stay in the second room. The bathroom window had transparent blinds so you can see the shade of the person taking a shower (again why do they choose this). The other room my family stayed in had just a wall (BETTER). And no lock on the bathroom door. Water pressure from the shower was weak. One of the room was full with dust and hair under the bed. I read some good reviews here. Obviously not every staff member can do a great job. If I hadn't offered a room where someone had drained his urine I would have considered this hotel again. I stayed a week, staff were excellent and the location was perfect. Good view from rooftop bar and breakfast was good. The gym was basic and needed more shaded areas around the pool, but overall great value and very friendly staff. I've stayed here twice before and I will stay again because it is such a good location. Out front there is now an outdoor restaurant with live music at nights which is nice because last time I was here it was just a big empty space. It is a nice hotel but this time I was on the 8th floor and there was water leaking from the roof and the drywall was soaked and rotting. There were towels all along the wall to soak up some of the water but I never saw anyone working on the leaks the whole week I was there. The roof is now a rooftop bar on weekends you can watch the sunset but I didn't go up there, so I can't comment on that. It is still a nice place and I will stay here again I just hope they keep it nice and not let it fall apart like other hotels have. Out front there is now an outdoor restaurant that has live music which is nice because last time I was here it was just an big empty space. There is a Starbucks and a McDonalds out front too if you want that. 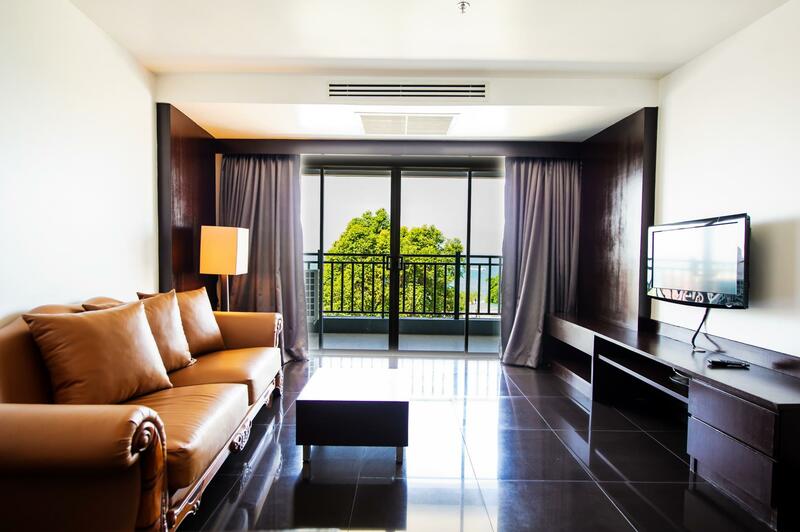 Right upon arriving staff were very nice and friendly and remained so for our entire stay.The cleaning ladies were fabulous couldn't do enough for you.The bedrooms are showing a bit of wear and tear but this is usually the case with Thai hotels. On two seperate occasions our taxi and Grab driver had difficulty locating the property. My suggestion would be have either a hard copy or reservation of the property address available, and have their phone number to give to the driver. Only areas I score this hotel poorly is that the price of rooms even in low season is quite expensive. 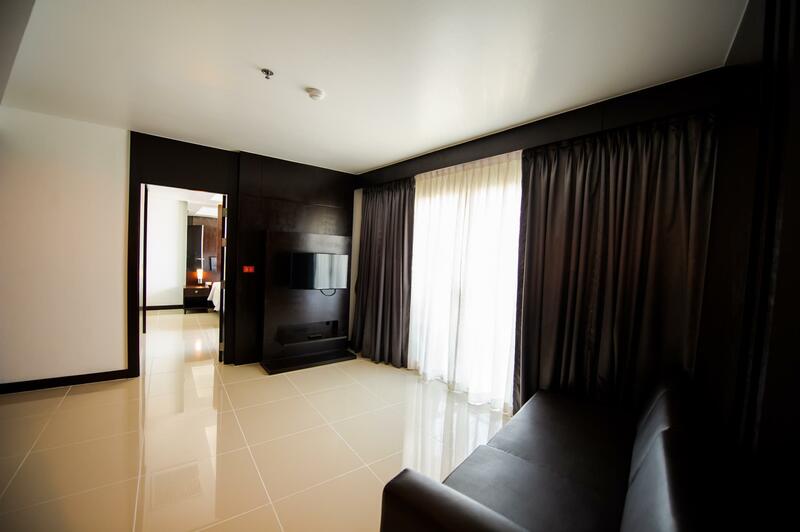 Can get similar rooms for almost half price. Also they close pool area after dinner, can’t even sit poolside. Something I can’t comprehend. Besides that, location is nice and facilities fair. Staff are excellent and do their best to accommodate.